I thought it would be fun to do a superhero showcase this week, featuring a different superhero wedding garter each day. These novelty style garters are some of my favorites to create, primarily because their colors are so bright, and I can only imagine how excited grooms are to find their favorite superhero's logo waiting for them under their bride's dress on the big day! First up is none other than Superman! This garter set was the first in my superhero collection, and it was a custom request from a Canadian bride. 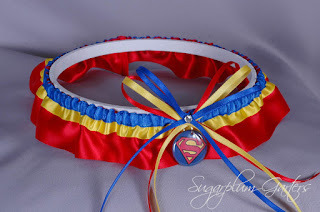 It quickly became my best-selling novelty garter ~ it turns out that there are a lot of Superman fans around the world! 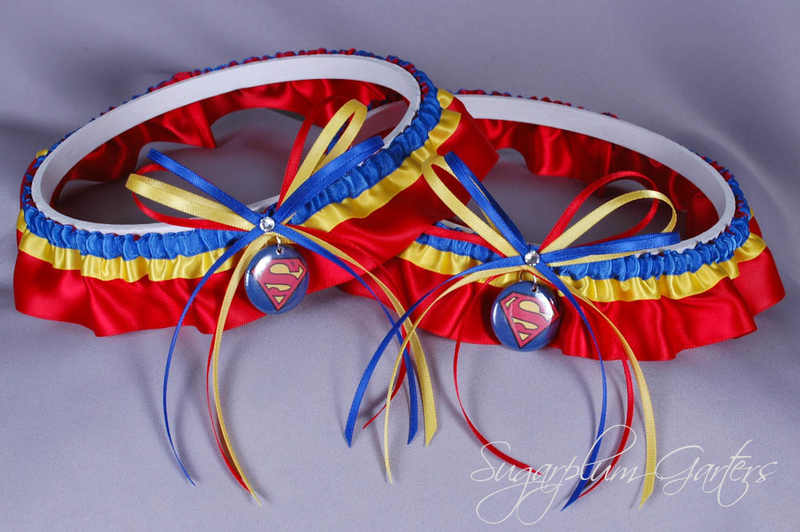 I even sold a set to an Australian bride who surprised her hubby with some Superman themed lingerie on one of their first getaways together ~ she was so excited to remind him of that occasion with these garters on their wedding day! The bride who started it all with her custom request, all ready to go on her wedding day! 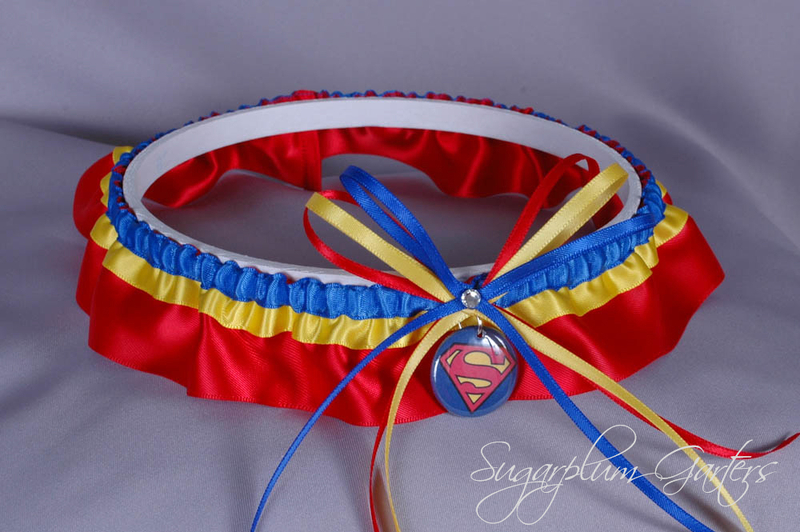 The Superman wedding garter set is available for purchase on my website here; the keepsake garter can also be purchased separately. Stayed tuned for a new superhero wedding garter set every day this week! Photo of the Day | Cake! Photo of the Day | Wedding Shoes!